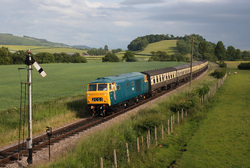 14/07/09 West Somerset Railways Mixed Traffic Weekend. 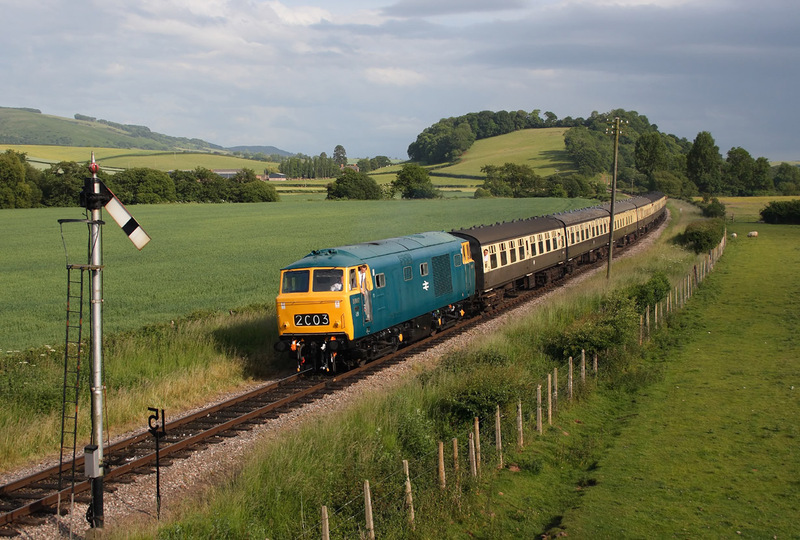 D7017 slows for the booked stop at Williton station on the 17.25 Bishops Lydeard to Minehead service. 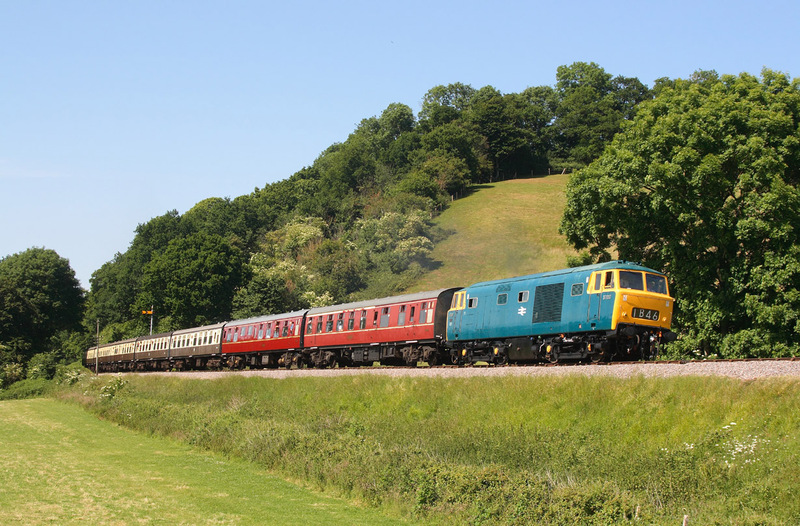 14/07/09 West Somerset Railway's Mixed Traffic Weekend. 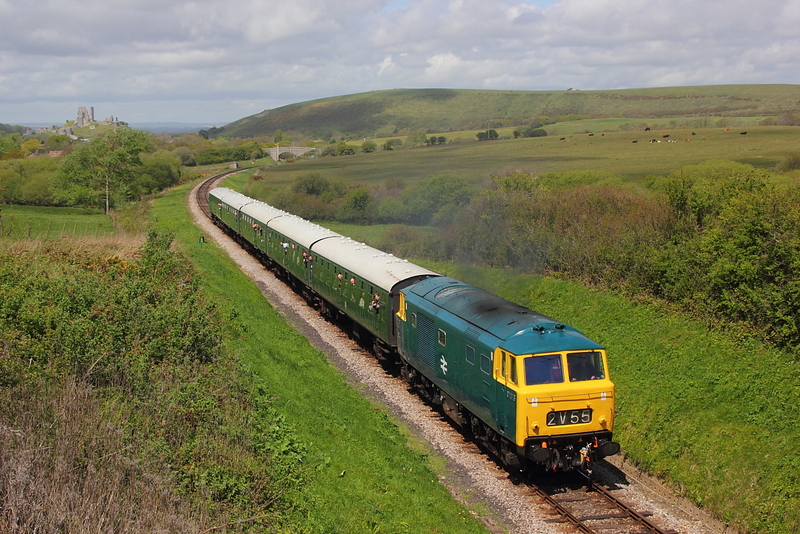 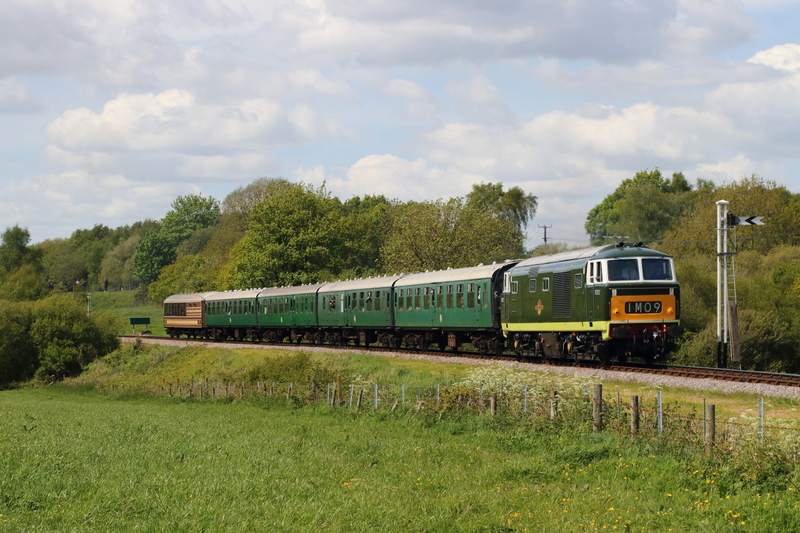 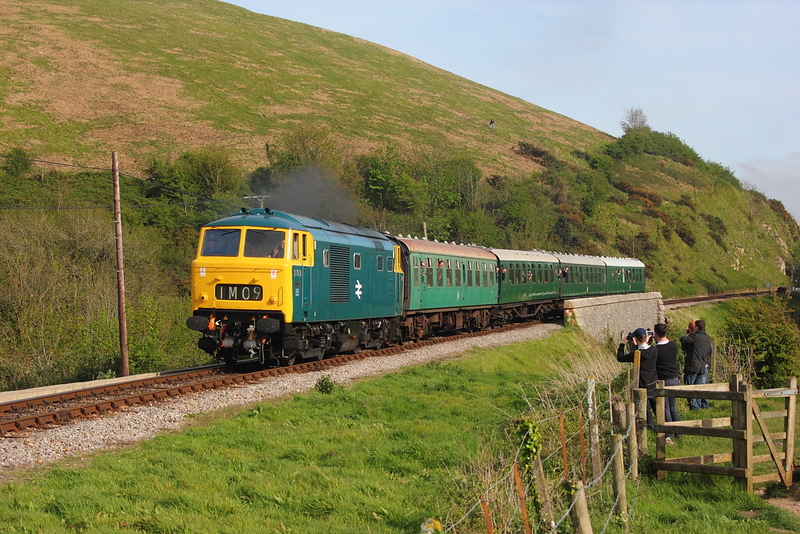 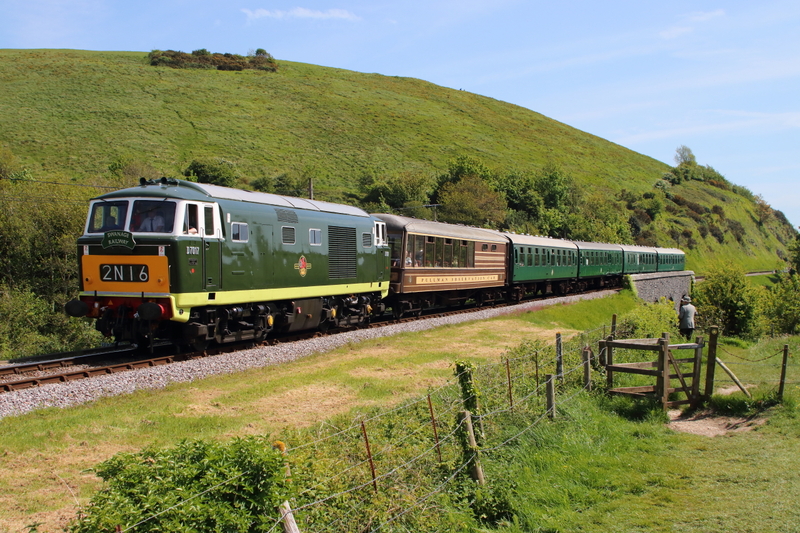 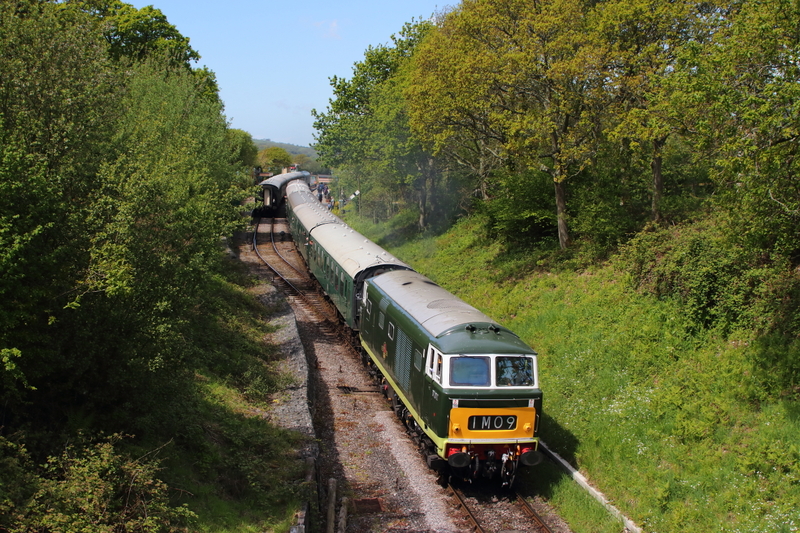 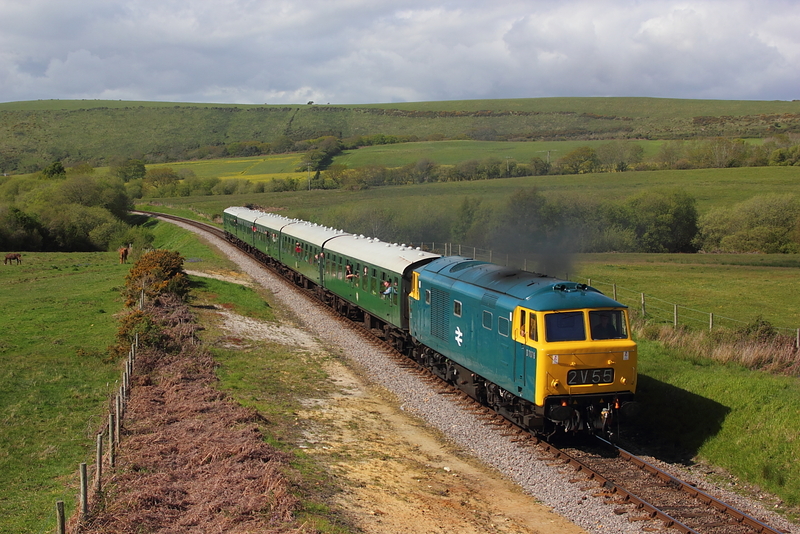 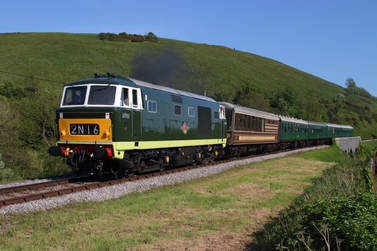 D7017 passing Castle Hill on the 14.40 Minehead to Bishops Lydeard service. 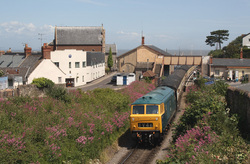 D7017 ppasses through Watchet station,working the 12.05 Norton Fitzwarren to Minehead service.